This is the last thing you want to see when you pick up your deer blind. 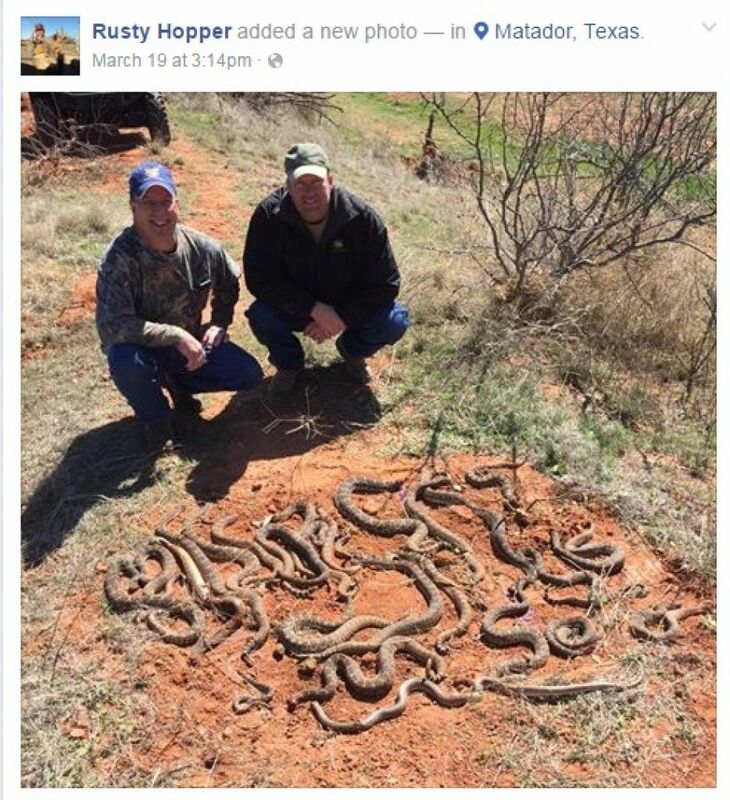 According to My San Antonio, a group of Texas hunters in Matador, Texas, discovered 26 slithering rattlesnakes and one they couldn’t identify hiding under their deer blind. 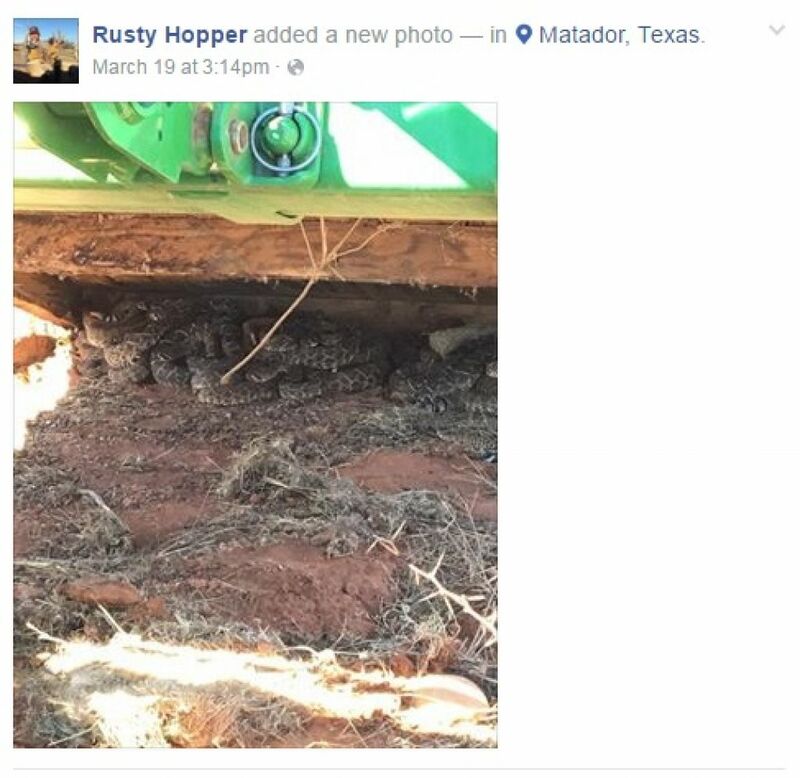 Hunter Rusty Hopper posted photos of the scene on Facebook, and the images quickly went viral, but the post has since been made private. Rattlesnakes account for most of the 7,000-8,000 venomous snakebites that happen in the U.S. every year. They are elusive creatures that tend to avoid conflict, and often hide under places like deer blinds, sheds, wood piles, livestock pens and litter piles. If you should have the misfortune of uncovering a rattlesnake pile, stay calm and walk away. The snakes will most likely slither away. Also, always wear your boots and long pants when you’re hunting in rural areas, but you probably knew that already. Stay safe out there, Texans.